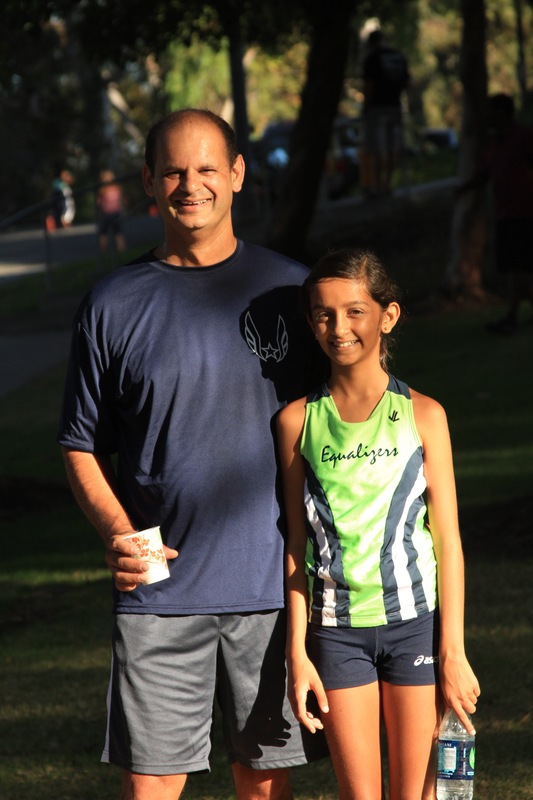 This weekend, Annika and I ran in the LB Poly Bun Run. This is a three-mile race in Long Beach. Here is Annika near the finish line. Here are me and Annika after the race. I too ran (but she beat me). Mom and Dad came down for Labor Day weekend. The new cross country season has started. Annika had a couple of warmup races the last two weekends. 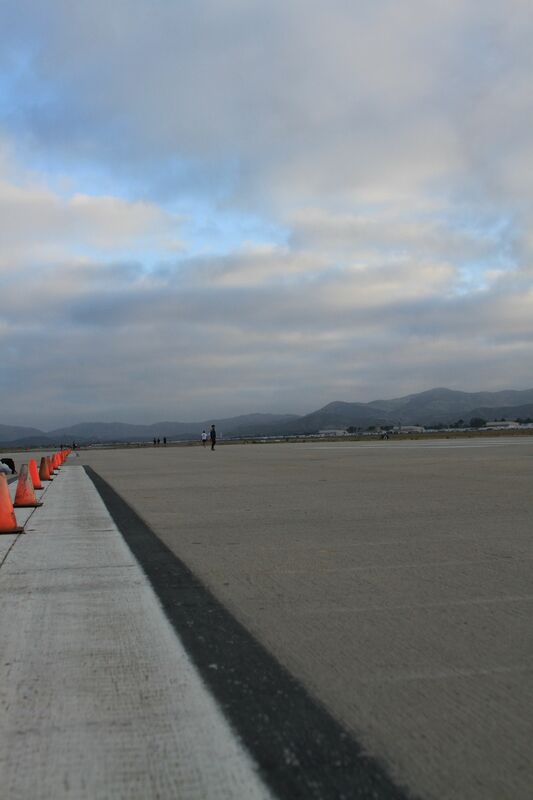 The first was the USATF Road Mile, held at the former El Toro Air Force Base. This is a 1 mile straight and flat race. Very interesting course on an old abandoned runway. No turns whatsoever. Here are the girls goofing off during their warm ups. Once she got started, it was all business. Here she is en route to a 6:15 mile. A little off her pace from the end of track last season but a good start for her first race. 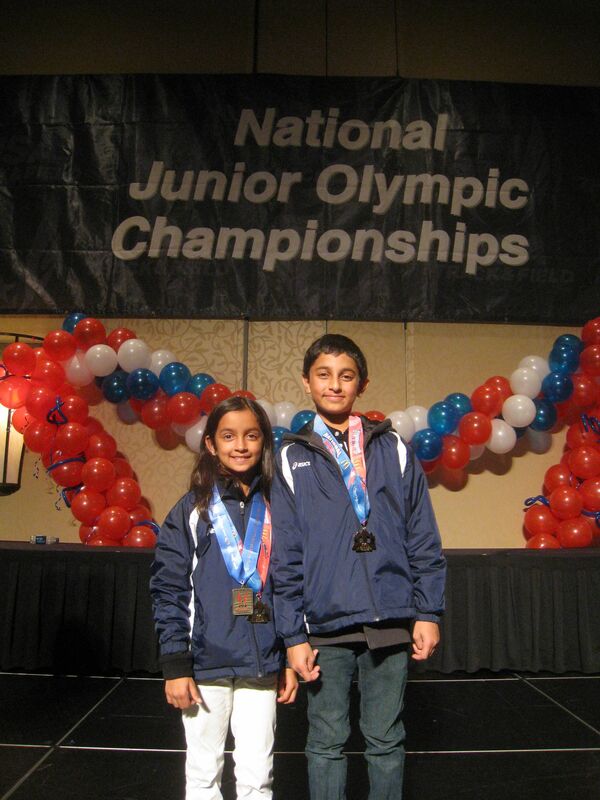 This weekend, I took Annika and Nikhil up to Reno for the National Junior Olympics. Both had qualified at the Regionals in San Diego about 4 weeks ago. We had a nice flight up to Reno from LAX. The weather unfortunately was not as nice. On Friday night before the race we had about a foot of snow. Just getting to the course in the foothills of Reno was difficult and the races were all delayed. This is the morning view from our hotel room at Circus Circus. 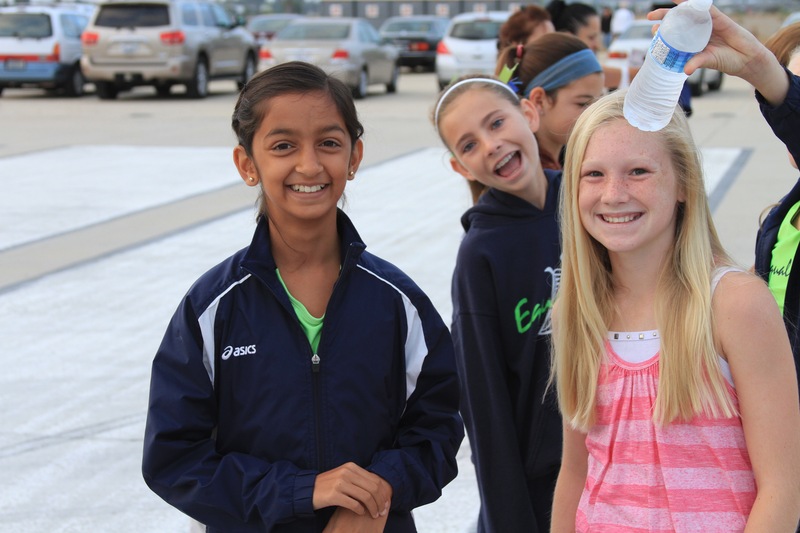 Here are Annika and Nikhil on the morning before their race during the course walk. 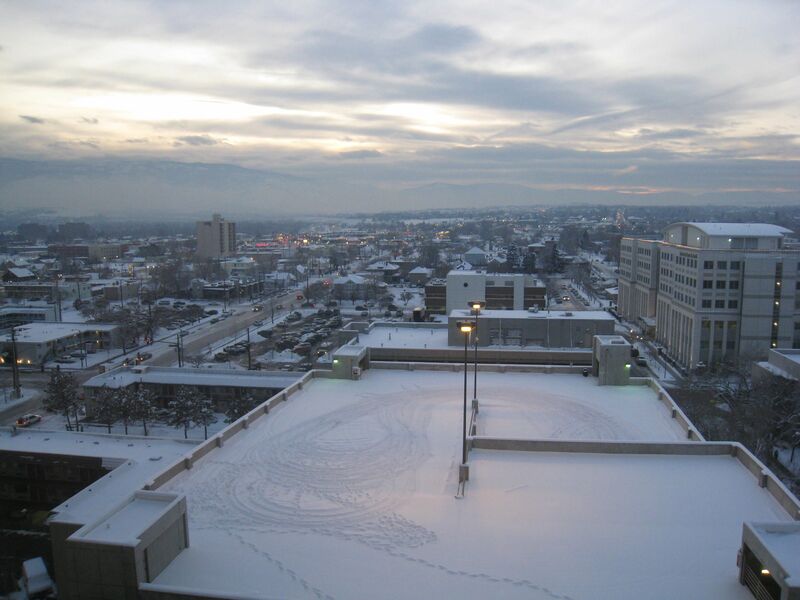 You can see a light snow falling. This is Annika in the team tent before her race. Annika’s race was first up. 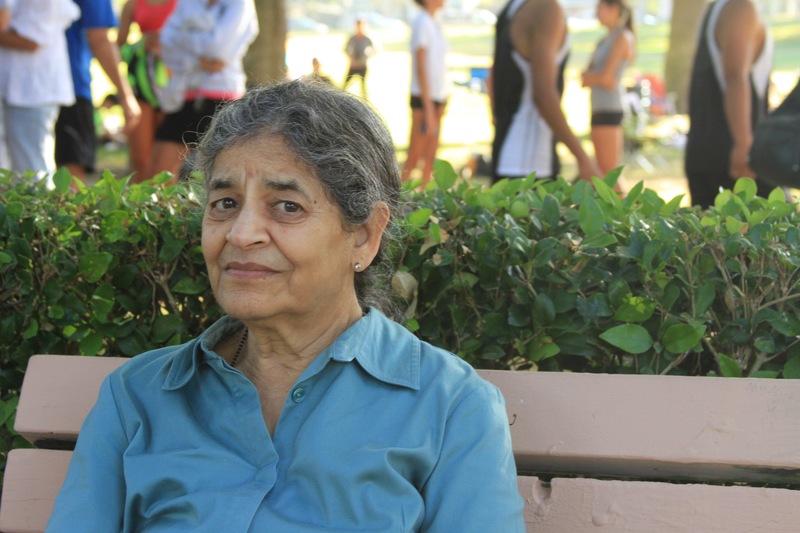 She ran in the older Bantam Girl’s group (ages 9-10). 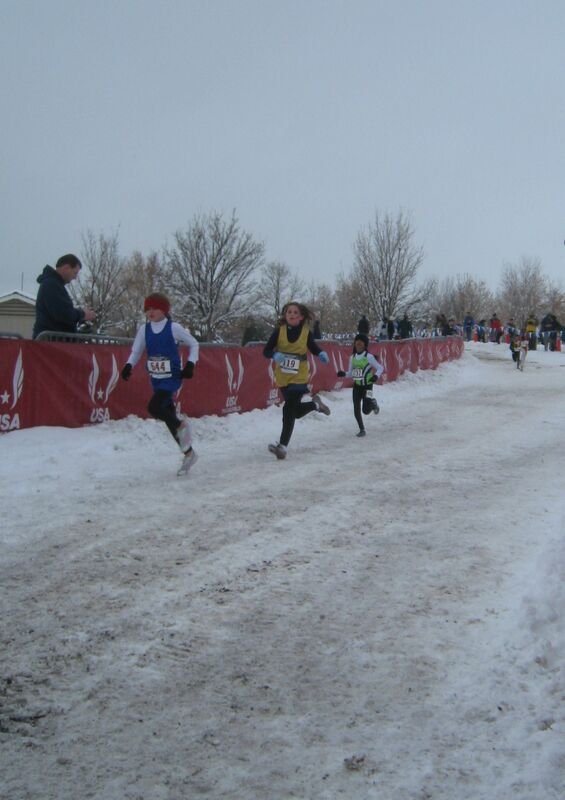 It had stopped snowing just long enough for her race but began snowing again soon afterward. 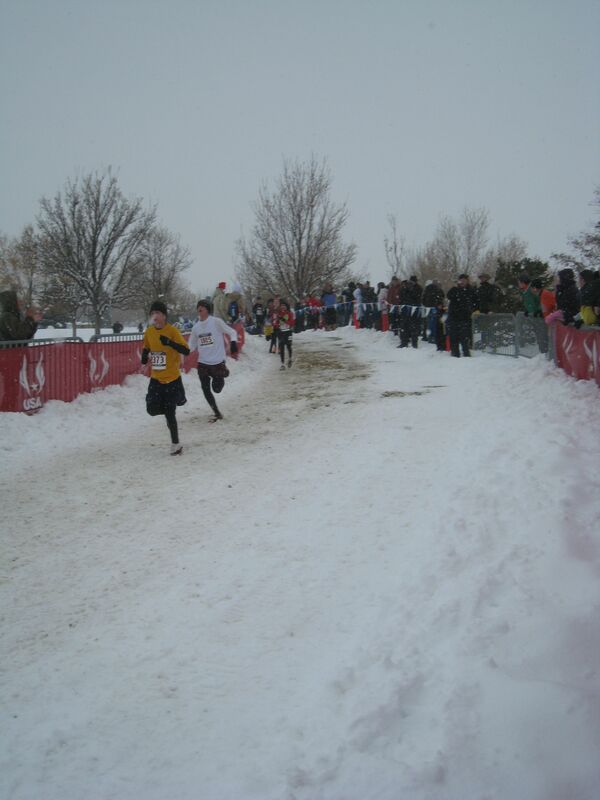 Running on the snow required special cross country spikes (shoes) with 1/2″ spikes in them. 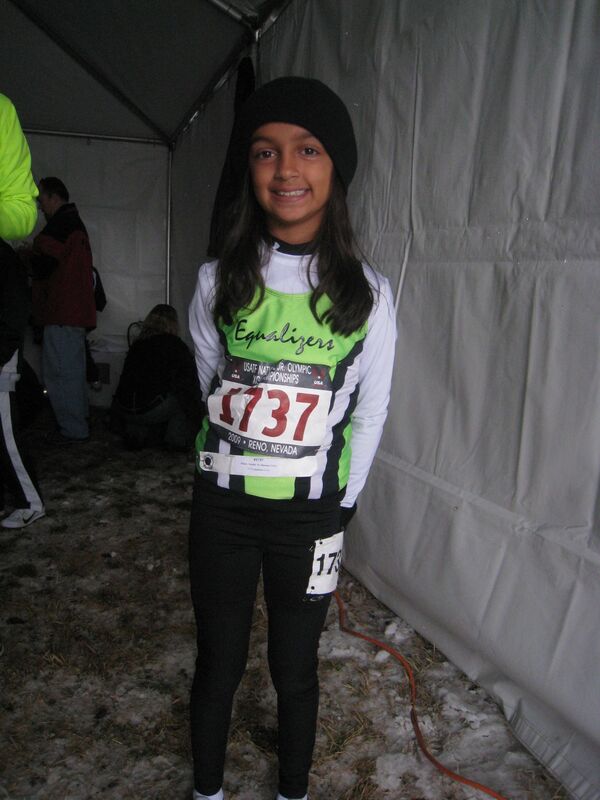 She ran a great race and persevered the brutal conditions and finished 162 (out of 200+). 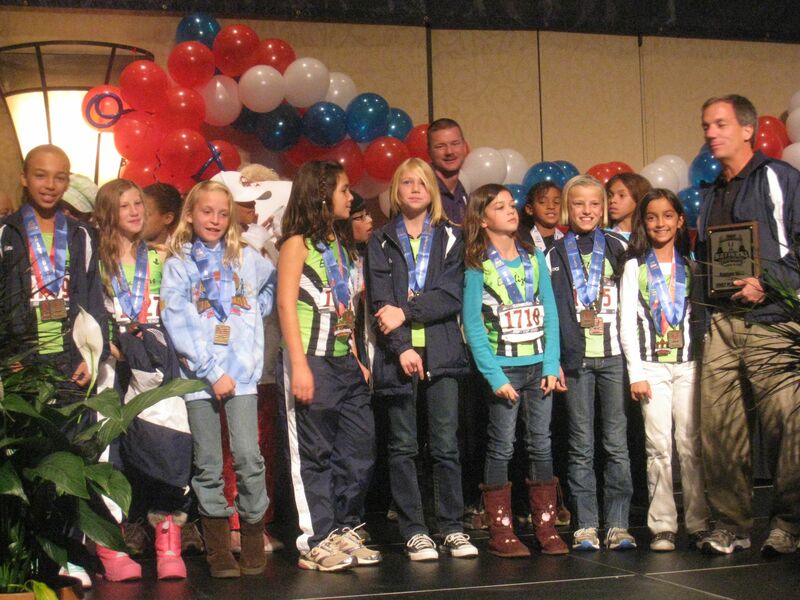 Annika’s team of 8 won the prestigious National title! Quite an accomplishment. Here is the rest of her team at the awards ceremony in the evening displaying their “gold”. Two of her team mates finished in the top 25 with three others in the top 50. Their lowest overall point score (kind of like golf) earned them the win. Nikhil’s team raced under heavy snow conditions and even stiffer competition. 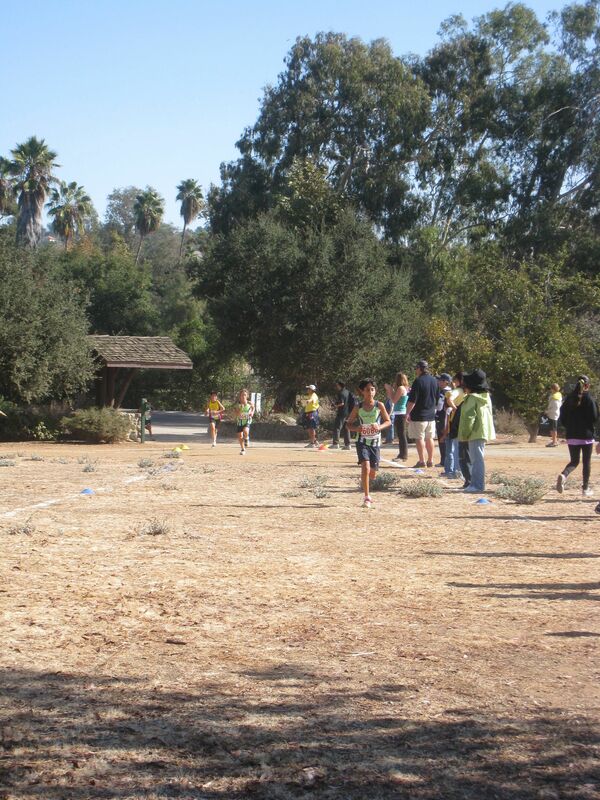 His team placed 11th overall(Nikhil is the 3rd runner in the pic – green/red jersey). This was the best picture I could get with my puny litle camera! Here is Nikhil with his buddies after the awards ceremony. 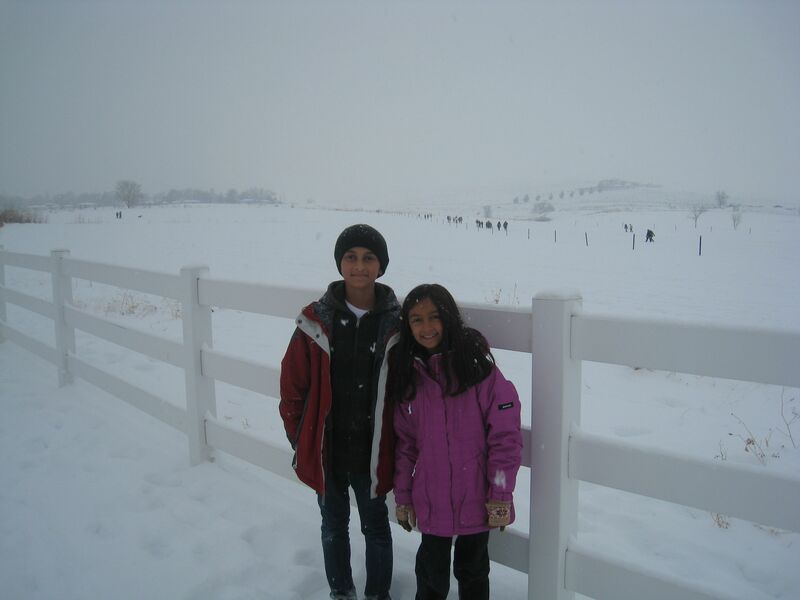 And one last picture of Annika and Nikhil. Next year’s race will be in Alabama. We’ll be going again if they qualify! 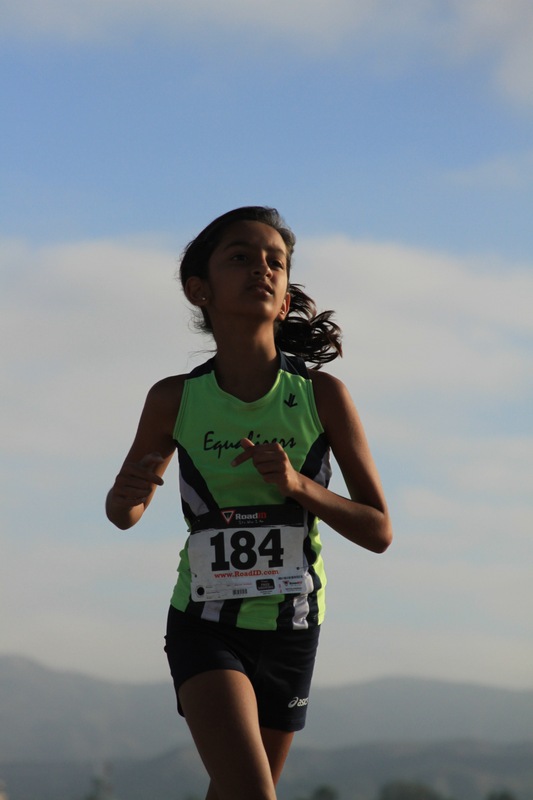 Last weekend, Annika and Nikhil ran at the regional Junior Olympics qualifier in San Diego (Escondido). They both qualified for the team and their team placed 1st and 2nd so they are moving on to the nationals race in Reno in a couple of weeks. 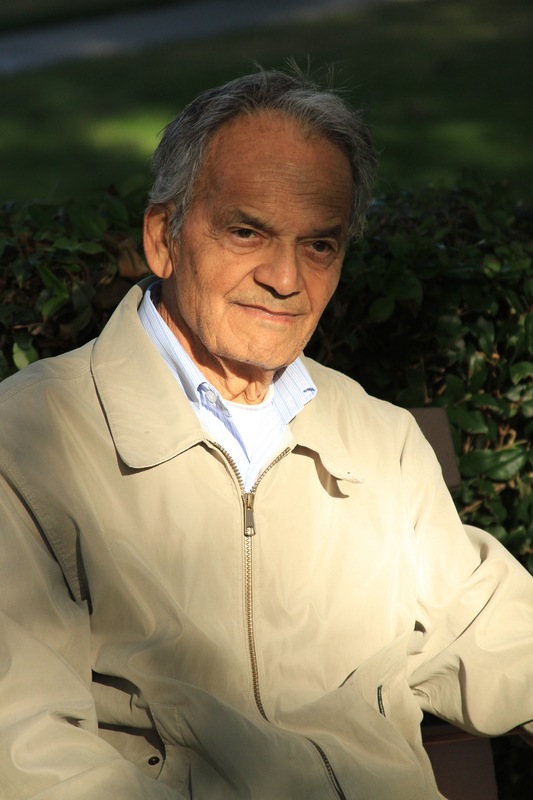 Here are some pictures from the event last Sunday. 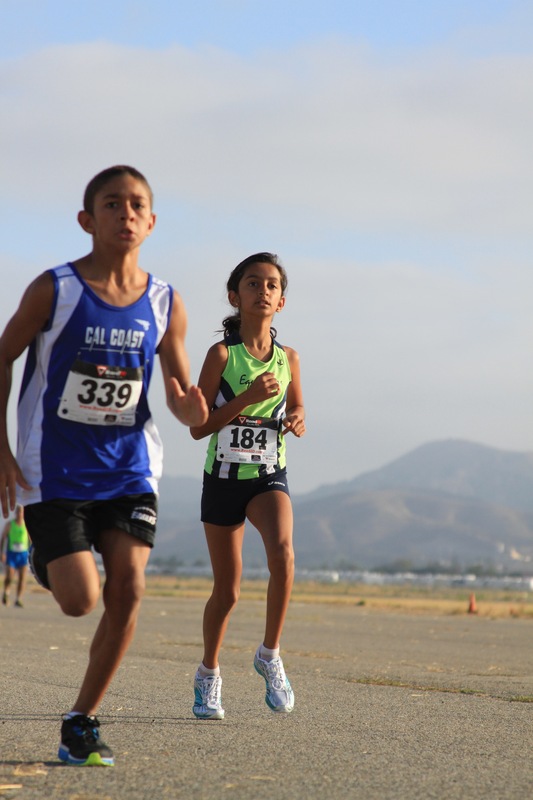 Nikhil and Annika both qualified for the Junior Olympics at the Southern California Association meet last Sunday. 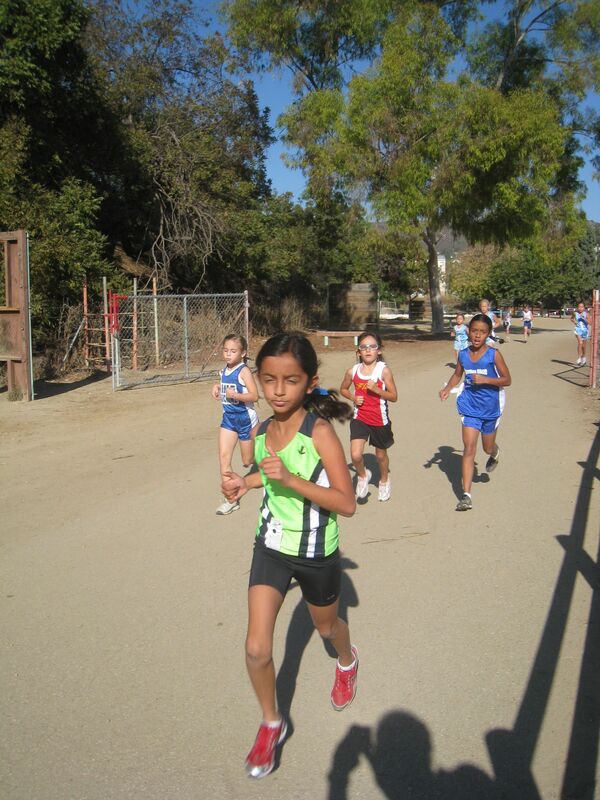 Here is little Annika running with the older Bantam group (ages 9-10). 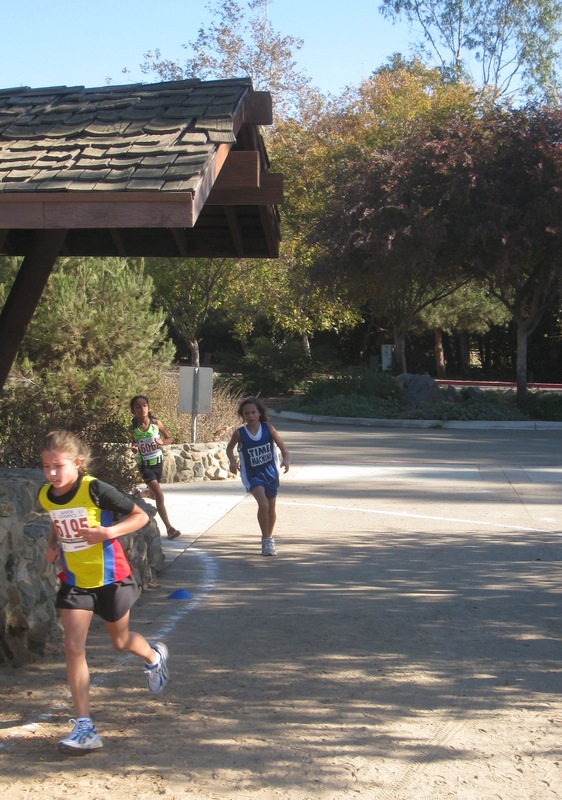 She held her own and beat out several scoring runners in the older age group. 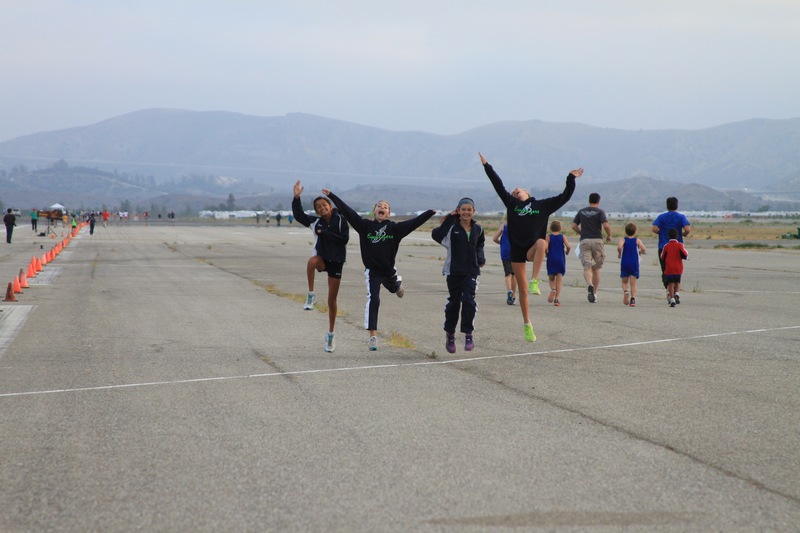 Her team placed first in the race. 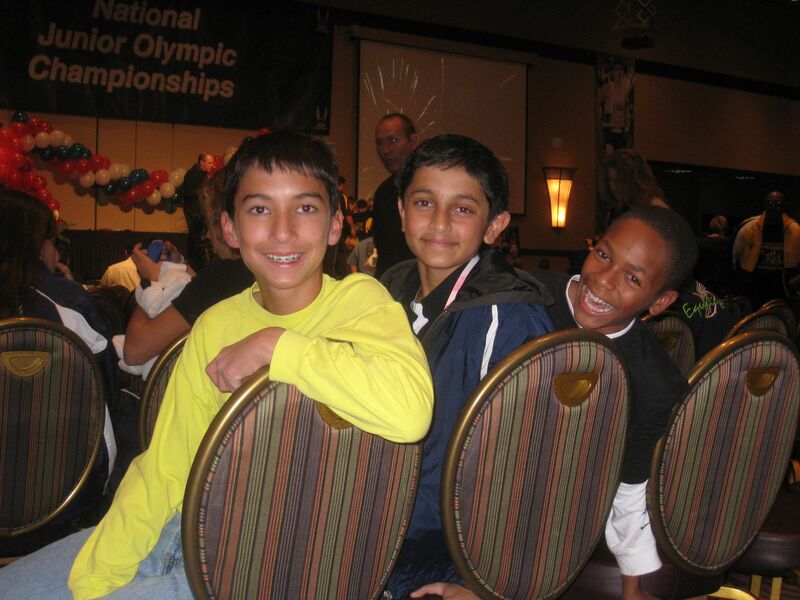 Nikhil also did extremely well and will also move on the the regional qualifier in San Diego this weekend. If their team makes it past the regionals, we will be going to Reno in December for the nationals. 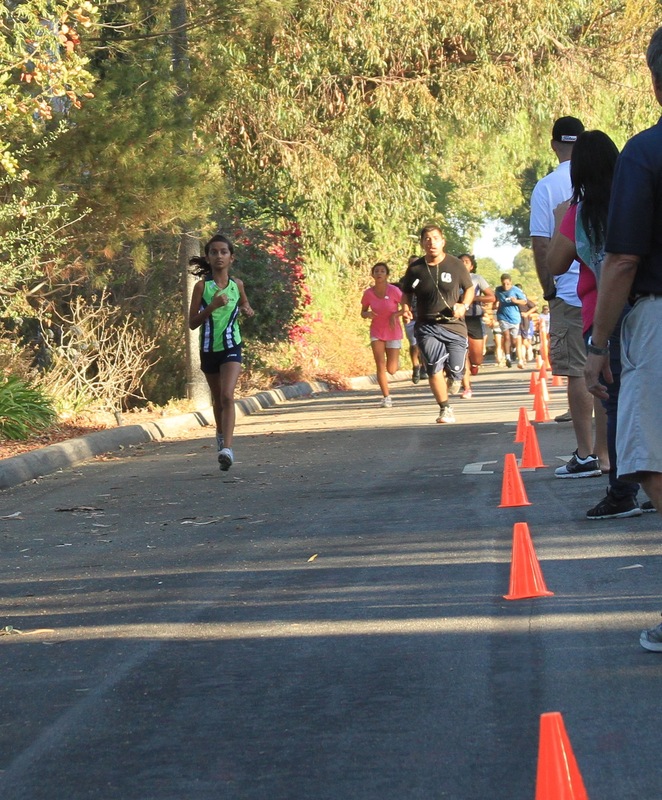 Nikhil and Annika ran in the Tustin Dino Dash 5K. Nikhil crashed through the 20 minute barrier. This was Annika’s first time at the Dino Dash. There were about 2000 runners in the race. You can see Annika in the green shirt in the back of the picture. 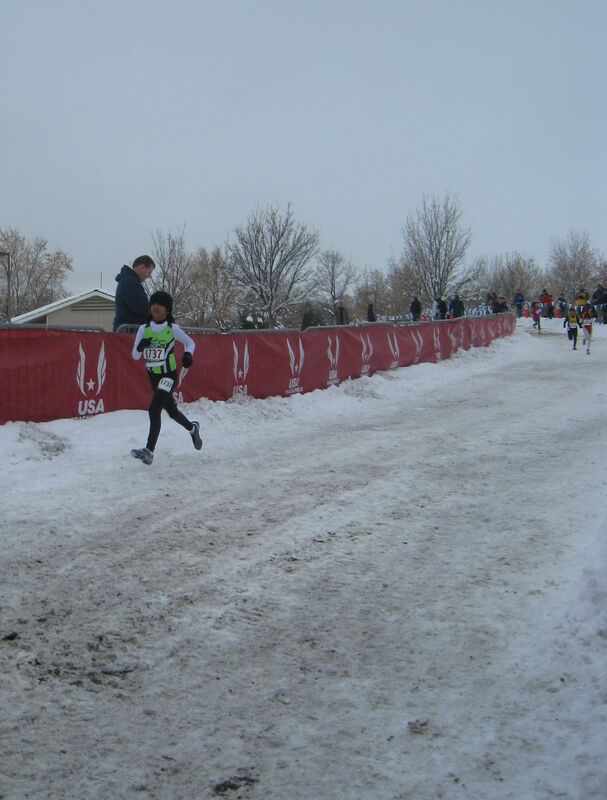 Here is Nikhil near the finish on his way to a 19:25 time. Here is Annika after the run with Mom. Mom and Dad were down for the weekend to watch the race and visit the grandkids. Here are Annika, Nikhil and their friend Colby. Annika got a 24:50 time and a second place medal for her age group. The full results are posted here (overall 5K) and here (age division awards). 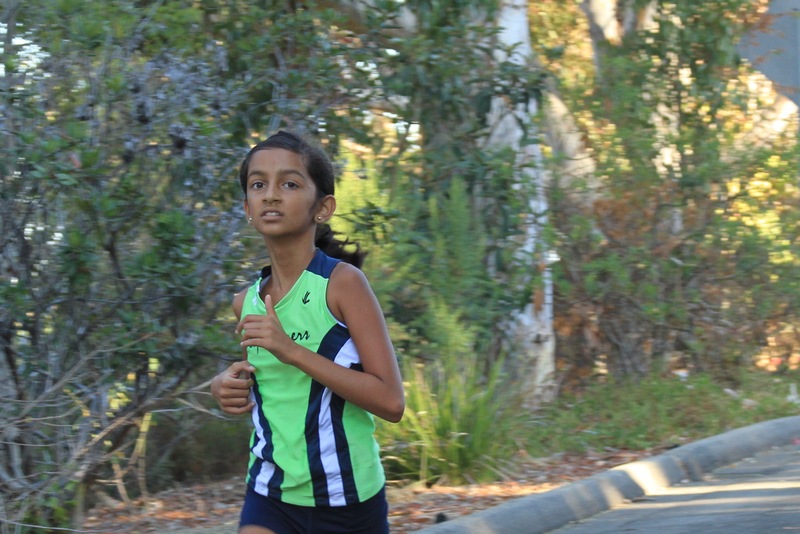 A couple of weekends ago, Nikhil and Annika ran at the Mt. Sac races. This is the largest cross country meet in the US. 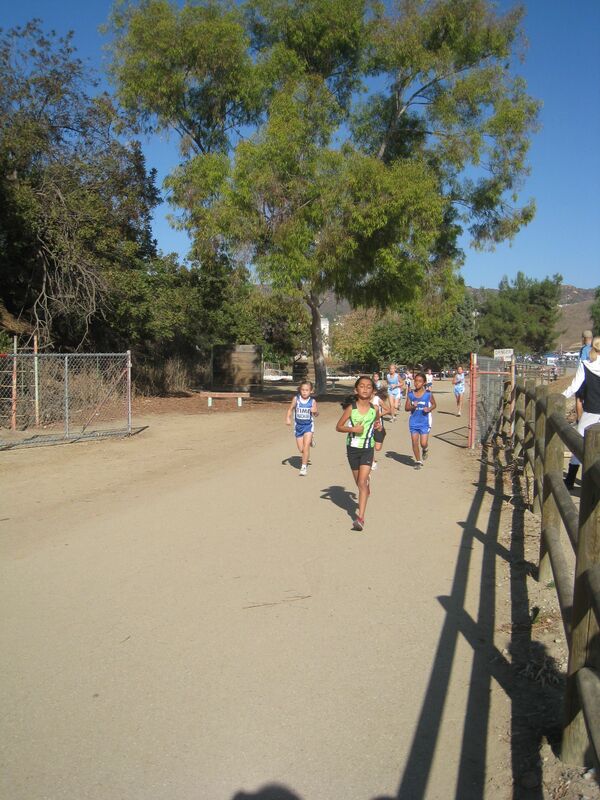 Here is Annika finishing up her 2K race. She finished in the top 15 in a field of about 100. 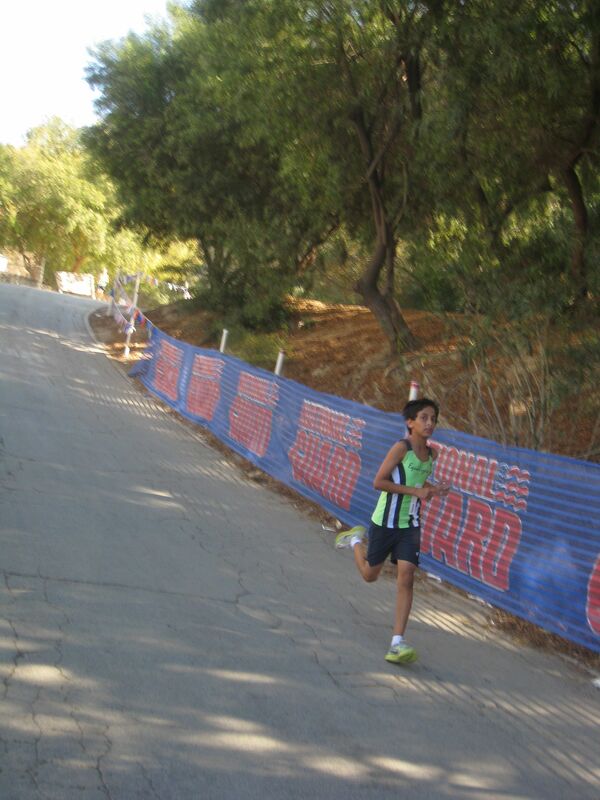 Nikhil’s race was a 3K and even more competitive with a lot more hills that Mt. Sac is famous for. Here is the starting line with well over 100 at the line. This is the first of several long hills. A great race experience with a truly competitive field!